Easy checkout + extra protection. 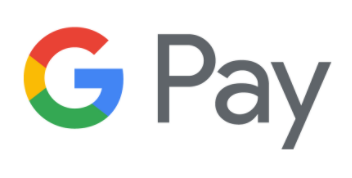 Add your Mill City debit card to Google Pay™ and make purchases with ease + better security! Making purchases is easier than ever with Google Pay and your Mill City debit card. And when you tap at select merchants, your loyalty points and offers are automatically applied at checkout too. When you shop at a merchant, Google Pay doesn’t send your actual credit or debit card number with your payment. Instead they use a virtual account number to represent your account information — so your card details stay safe. As soon as you make a purchase, you’ll see a payment confirmation that shows you exactly where a given transaction happened, along with the merchant’s name and number. So it’s easy to catch any suspicious activity. No more frantically canceling your credit cards. If your phone is ever lost or stolen, you can use your Device Manager to instantly lock your device from anywhere, secure it with a new password, even wipe it clean of your personal information. Google Pay is accepted at over one million stores across the US, and is now available in your favorite apps. They’re adding more every day. 1 Your debit card PIN may be required to authenticate your transaction. This depends on the terminal set-up the merchant has in place.